What’s The Magic Balance For Your Health And Happiness? I have always been fascinated with “balance”. As a kid, hopping on a pogo stick and walking on stilts were great feats of balance. At work, sitting on a stability ball provides a constant challenge. As a teacher of Pilates and yoga, I assist others in finding balance in their practice. Several years ago, I noticed cairns on a rocky beach. The uniqueness of each stack of stones is striking. What provides balance? Although appearing unstable, cairns withstand the pounding of the surf and the strong winds but if one stone is displaced the entire structure tumbles to the ground. The magic of success lies in creating a foundation of balance. It is not powering through or trying to tackle everything at once. 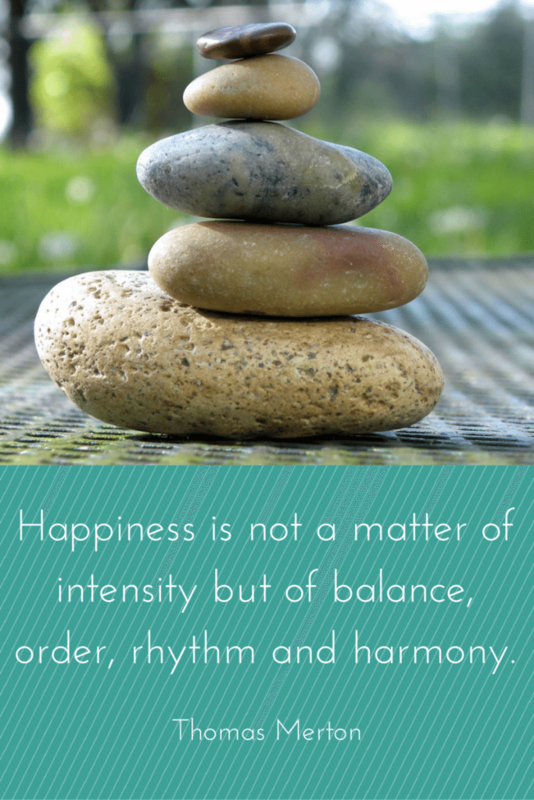 We slowly and carefully balance aspects of health, time, commitments, priorities, barriers, importance, payoff, etc. Like the cairn, each individual’s balance looks different. Although the end result may appear unstable, with true balance the structure can withstand the impacts of our daily lives. If a single aspect falls out of balance, health and happiness may need a complete rebuild. 1. Define YOUR vision of health and happiness. Imagine your future self 3-5 years down the road. What do you look like? What are you doing? How are you different than today? Who is with you? If you could let go of things in the present, what would you opt not to take to your future? These questions will lead you to your vision of health and happiness. 2. Understand WHY it is your vision. What is important to you about your vision? What will your life be like if you don’t make changes? If you do reach your future vision, what value do you see in making those changes? Understanding the value of change will increase the likelihood of sticking with it. Change is hard. Without meaning, why do it? 3. Be honest about your starting place. The quote by Richard Moon, “You can’t get there from not here.” sums up the power of acceptance. Once you establish your vision, you need to know where you are starting. If you are not honest with your beginning then determining your first step is extra challenging. Take the time to evaluate your current situation. Identify your strengths and your weaknesses. Know what you lack and what you have. Only then will you realize what needs work to get where you want to go. 4. Set goals that makes sense for YOU. Do an online search for “goal setting” and millions of items will appear. There are tools, apps, worksheets, research articles, blog posts, etc, etc, etc. I am a fan of setting SMART goals (Specific, Measurable, Attainable, Relevant, Time bound). Before you get in to those details, be certain that you OWN your goal. Some people spend months struggling with a goal only to realize it was what their partner wanted, what they read in Men’s Health or it is what Oprah recommended. Check out six powerful questions for setting the right goal for you. 5. Plan for success and be prepared with back up plans. Setting a goal is just the beginning. Congratulations on knowing what YOU want to do, on knowing where you are starting. Now it’s time for the real work. Create a plan. Want to add exercise to your already busy schedule? When will you do it? What will you give up? 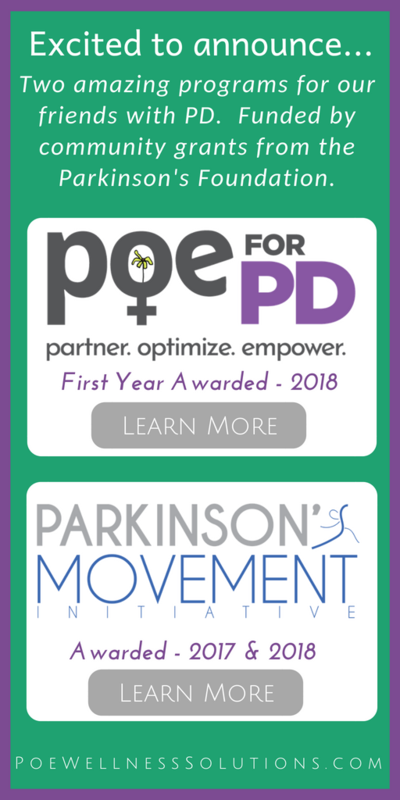 Plan to walk 3-5 days per week in the evening? What if it is raining, you work late, something better comes up? What’s your back up plan? Could you go to the gym instead, walk in the morning? Preparing for obstacles and creating back up plans will yield a much higher rate of success. 6. There is no failing, but many opportunities for learning. In Carol Dweck’s book, Mindset The New Psychology of Success, she explains, “When people believe their basic qualities can be developed, failures may still hurt, but failures don’t define them. And if abilities can be expanded – if change and growth are possible – then there are still many paths to success.” You may not reach your goal on the first try but that is okay. Success is awesome but there is much to learn from falling a little short. Explore the lessons learned and use that information for future success. 7. Celebrate success. A great motivator for change is how we feel. You are more inclined to exercise if you find an activity that makes you feel good. You will eat a healthier meal if it is food that makes your mouth and tummy happy. You are inclined to continue succeeding if you celebrate your successes. Acknowledge that you are reaching your goals. 8. Trial and learning. Have you ever tried to build a cairn? Those rocks don’t balance on the first try or the second or maybe even the third. The rock that you thought might be perfect for the foundation ends up being the perfect rock for the middle or even the very top. It takes patience, determination and a willingness to experiment. Something that feels a bit wobbly at first may end up being exactly what you needed. 9. Be honest with yourself. Such a sneaky trap for getting off track. There are many distractions in our lives. Between the internet, Facebook, magazines, confusing healthcare messages, etc. what are we supposed to believe? Everyone has an opinion and an idea for what is best. It is easy to get lost in your vision and why it matters. It is easy to set a goal simply because the news is espousing the latest and greatest health magic. Even the experts contradict each other. Who are you supposed to turn to? In my opinion, create your own network of support and resources and own your health and happiness. 10. Keep it simple. Another trap is trying to do it all at once. Start simple. Sometimes the greatest payoff may be from the smallest step. If you have a long list of goals, try single tasking. Start with one goal, maybe two. Create a plan, including back up plans. Even the smallest steps will offer opportunities to learn or a reason to celebrate. It will all contribute to your success! Susan desired living life with her greatest health and happiness. She recently moved in with her boyfr iend of four years. She described a very clear picture of what she wanted. She was unsure of where to begin. 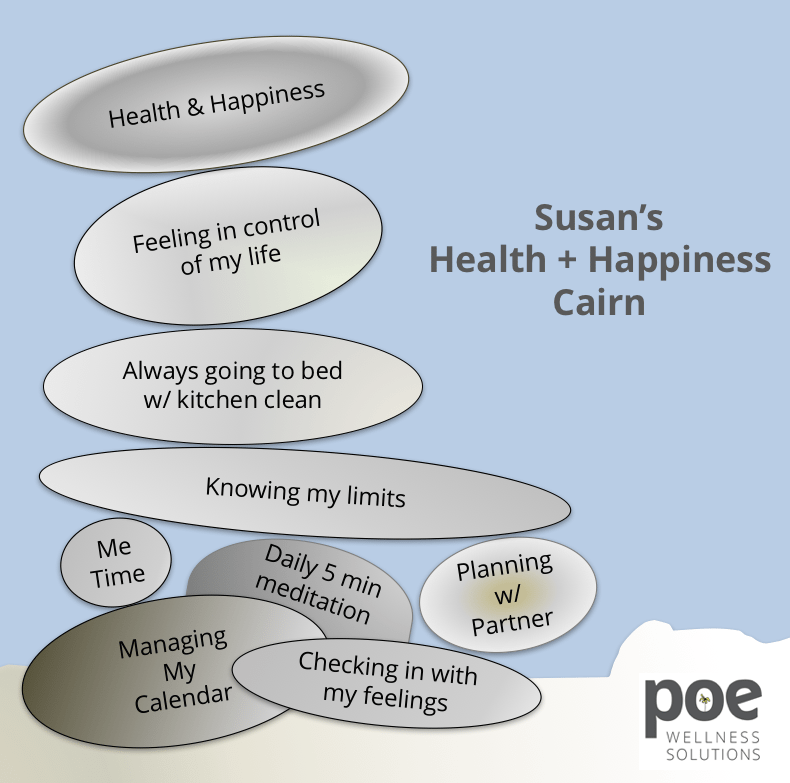 It took almost six months but in time we created her Health + Happiness Cairn. Susan learned she must manage her calendar and check in with her feelings daily. Without these two things, life was out of balance. She scheduled “me time” each week and at a minimum practiced five minutes for daily mediation. She planned with her partner to guarantee these times. This helped her stay in check with her limits and to not over commit. During month three, Susan learned that waking up to a clean kitchen provided a fresh, in control start to her day. Of course, there were challenges beyond the simplicity in this illustration. Susan discovered a foundation provided her with greater balance to face those challenges. Looking for assistance in discovering your magic balance for Health + Happiness? That is what we do at POE Wellness Solutions. 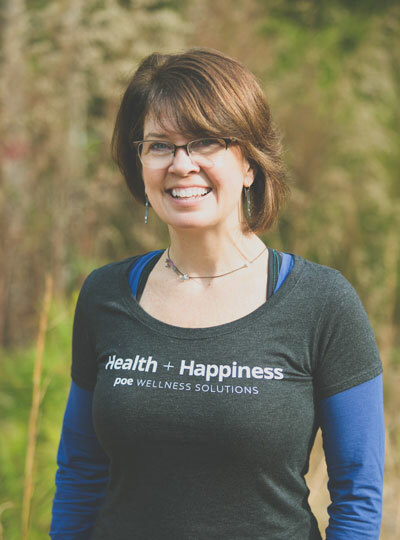 As a Health Coach, I partner with you to reach your goals and achieve your greatest health and happiness. Contact us today. Set up a first call at no charge! What is critical to your magic balance? Tell us below. Reading this made me want to be a better person…. also to go in the backyard right this minute and build a cairn. You are a very pretty person and anyone would love to work with you or just look at you. G. Poe – I’ve had a similar thought about the cairn myself. I’m excited about making one of these in a dry creek bed or a stream in the woods. I think this could be both grounding and very relaxing. Please do share pics of yours once you build it. It would be cool to have H+H Carin’s all over and collect photos of locations and makers. Beautifully layed out , I’ve always tried to be goal oriented only to be blindsided nearing almost everyone . Most of the time I’ve had to just go with the flow , it works .. for me . I had a semi pass me on the interstate Thursday , he had stickers on both big side view mirrors that in bright gold that said “goal” ! I thought , How cool , everywhere he looked it made him think of ‘his “Why”. God I wish you weren’t so far away , I need you in my life , anyway . Keep up the good work ! Thank you for your encouraging words. Goals are curious things. My biggest obstacle is #4. When I am struggling with or losing interest in a goal, I usually realize that it wasn’t all that important to me but more what I thought I should do. It wasn’t contributing to how I want to live my life … to my ‘Why’. You are always in my life but we do need to see each other more! PS Awesome about the truck driver!